Head to Opus for a night of celebration and information with Salem Main Streets. Come cheer with them over last year's accomplishments and look to see what's ahead in 2019. 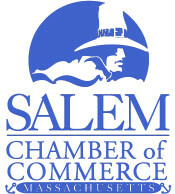 Learn more about Salem Main Streets' mission and purpose, and how you can benefit and get more involved. Enjoy cocktails at the Opus Underground's excellent bar then move upstairs and stay after for dinner! Open to all who live, work, or play in downtown Salem - residents, volunteers, business owners, community partners, and municipal officials.